While another iconic character is apparently denied for Rogue One. Hannibal Buress reveals his Spider-Man: Homecoming role. Plus, new details on Gotham’s return, new images of the Power Rangers movie suits, and new looks at Scream Queens season two and Sherlock season four. Spoilers Get! More rumors are swirling that Frank Oz will reprise his role as Yoda in the film. Following reports in April that Oz has been spotted on set, a Redditor alleged to have spoken to puppetmasters at Star Wars Celebration Europe recently claims that they were told that much of the original team that worked on the Yoda puppet for Empire Strike Back and Return of the Jedi has been hired to work on a new Yoda puppet for Episode VIII. This is still all hearsay—and Yoda was also heavily rumored to appear in The Force Awakens, only for it to be revealed that Oz had a line of dialogue in Rey’s vision sequence and nothing more. So for now, take it with a pinch of salt. 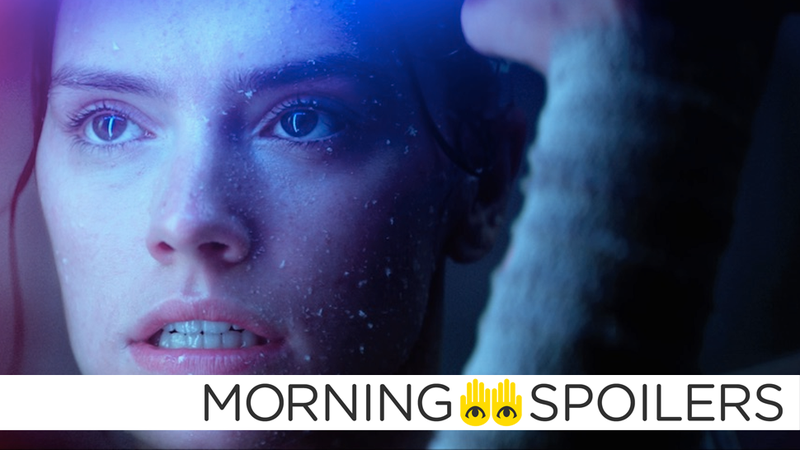 Speaking of salt-pinches, Making Star Wars has a report claiming that the film will feature another flashback to the destruction of Luke’s fledgling Jedi Order, witnessed by Rey, Luke, and Kylo Ren, showing an area strewn with the bodies of fallen padawans. They also have images of supposed props from location filming that are clearly lightsaber hilts, adding some veracity to the report, that you can see at the link above. I don’t feature in that myself, but I understand that Darth Vader may be making an appearance. Here’s a TV spot for the ouija board horror sequel. Gordon works in a monster-ridden Gotham as a bounty hunter and seeks to find answers about the Indian Hill escapees, and why their powers appear to be killing them. Meanwhile, Bruce’s doppelganger roams the streets, and Barbara and Tabitha open a new nightclub called The Sirens in the all-new “Mad City: Better to Reign in Hell…” season premiere episode of GOTHAM. Chris Payne Gilbert is joining the cast in the seventh episode of the new season. Here’s a new sneak peek for the second season.